Dr. Sarah Sponaugle grew up in Clearwater, FL. She was always active in sports and other recreational activities such as ballet, modern and hip-hop dance, tennis, soccer and surfing. After high school she attended the University of South Florida for her undergraduate degree, Creighton University for her Master’s degree and National University of Health Sciences for her Doctor of Chiropractic Degree. She graduated Valedictorian of the Fall 2016 graduating class at National University. 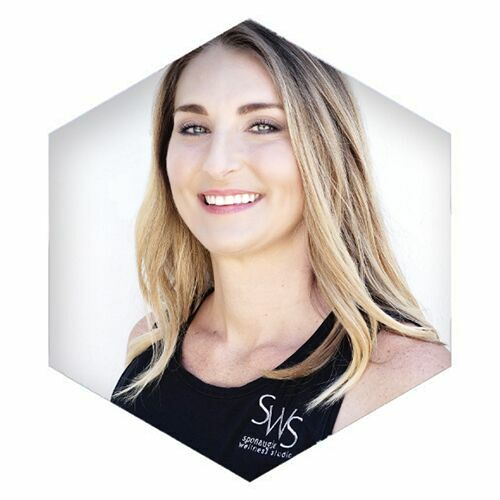 Though Dr. Sarah’s experience in the wellness industry spans over 10 years, she learned about the demands placed on the body and the importance of recovery from growing up and training as an athlete. In fact, after years of ballet, she was inspired to follow a path of wellness after experiencing the great benefits of chiropractic care. Dr. Sponaugle’s desire to become a chiropractor grew even stronger after a car accident. It was chiropractic care that helped her regain her ability to dance and surf. Today Dr. Sarah Sponaugle believes that exercise is by far one of the best medicines available. She continues to maintain daily physical activity with surfing on the weekends; all thanks to chiropractic care.